He was raised in Annapolis and was the younger brother of Charles Willson Peale, painter, naturalist, and museum curator. Trained as a cabinetmaker, he studied watercolor and oil painting with his brother. During the American Revolution, he served in the Army in the Maryland Regiment and did two full-length portraits of George Washington at Yorktown. 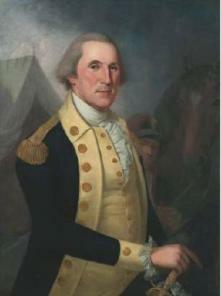 He settled in Philadelphia where in 1782 he began his painting career and assisted in the Peale natural science museum. He first exhibited his still lifes at the Peale Museum in Baltimore, and they quickly became popular with the buying public. He was a regular exhibitor at the Pennsylvania Academy of the Fine Arts. His compositions were generally of two types: formal compositions around a porcelain container and more natural arrangements of fruit. He married the daughter of artist James Claypoole, and their artist children included artists Sarah Miriam and Margaretta Angelica. Alfred Rubinstein, "The Reality of Appearance"